Fireflies blinked on and off in the front yard as Bernard slipped through the screen door onto the front porch. 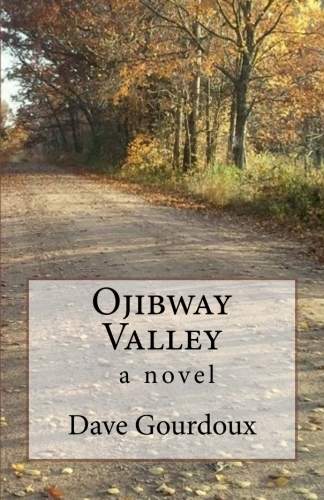 It was almost dark, headlights winding down Ojibway Valley Road toward the Mighty Casey’s. Everybody else was inside, in the family room, silently staring at the television, their minds wandering to wherever their minds took them, numb from the news they were still trying to absorb. The Fourth of July was the last thing on their mind. Outside a warm breeze blew from the south. Bernard had his jacket on but knew it wouldn’t be required as he got to the road and started walking towards the bridge. The plan was for him to wear his American Legion uniform, being the 50th Fourth of July since the end of World War One. Bernard was to stand with the other two surviving veterans of the war living in the valley. But that didn’t seem important anymore. What was important to Bernard was to trace the steps he had taken fifteen years earlier. He walked along the road, and before it got to the junction with County Highway H, where the bridge was closed down, where cars were already lined on both sides of the road, where parents sat in lawn chairs along the river bank and on the bridge, where kids ran in the tall grass waving sparklers, the sounds of their shouts and laughter echoing in the warm night air, Bernard, like he did fifteen years earlier, stepped off the road into the quiet shadows cast by the trees and onto the rutted tractor path that led into the rolling hay fields. He ducked under the barbed wire fence and walked on the path parallel to the highway until it turned to the west and went up hill. He climbed the hill, feeling a slight tightness in his 73 year old thighs, until he got to the top. It was almost completely dark as he sat down in the tall grass and looked through the opening in the trees to the river and the bridge and the spot on the far banks where Jack Casey and his crew were getting ready to start the fireworks. He sat in the weeds, alone in the dark, the warm breeze in his face, his hands clasped around his knees, and watched as the fireworks started to explode. They lit up the sky, right above him, and they were close enough that they lit up the empty grasses that surrounded him. He could see his grandson, his little shadow, in the empty red and yellow flashes of light beside him. He thought of the trenches in the Argonne he’d made it home from, and he thought of the jungles in Vietnam his grandson didn’t, and he remembered the answer he gave fifteen years ago. I like this Dave. The imagery is very clear. The emotion comes across powerfully.